RustyButTrusty has a soft spot for Saabs. The nice thing about our home base is the level of car nuttiness going on here, and people will truly buy anything. I don’t mean that in a bad way – but driving around the streets of this area, you’ll see all kinds of things on the roads, including rare stuff like the last version of the Saab 9-5, released just before the company went out of business. 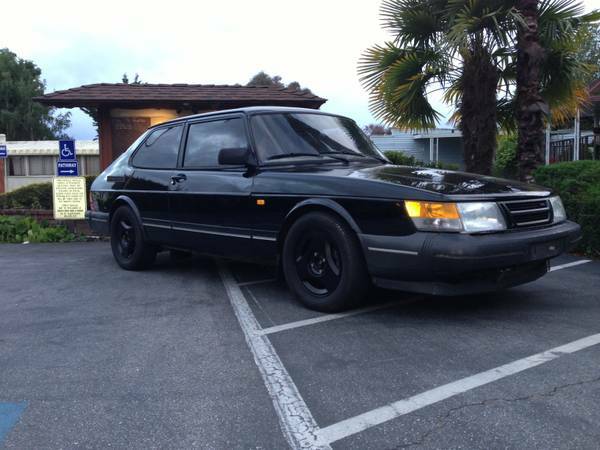 But in spite of their longevity, the first-generation Saab 900s are becoming a less and less frequent sight. At some point, that distinctive exhaust note these have should make it part of the fleet, but for now we’re left to admire from afar. And while you’ll find beaters and automatic turbo convertibles, it’s rarer to find a 5-speed hardtop turbo in good shape with relatively low (say, less than 150K) miles. 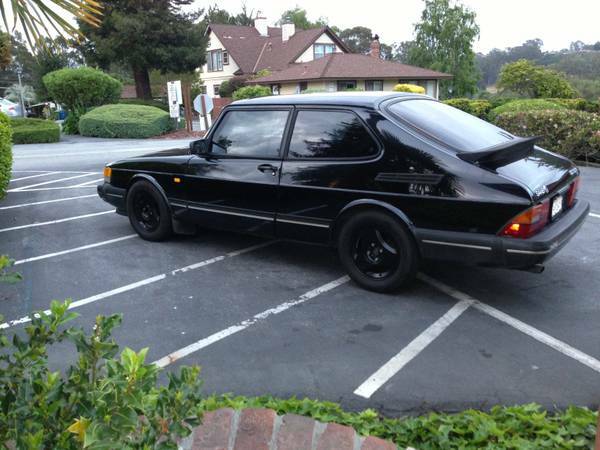 Like today’s car, listed in Santa Cruz, CA for $3200. Owned by a Saab mechanic of 13 years, let’s hope the cobbler’s shoes metaphor doesn’t apply here. It sure doesn’t look like it, and it apparently has a new front suspension, recent tires and grey interior conversion, a cold air intake, custom exhaust, and the turbo computer is “turned up a bit”. The seller also has plans to upgrade the ECU and fuel injectors. It’s not clear what the timeline is for that, especially if you purchase the car before the work is done. With 146,000 miles, this looks like a pretty good car to play with. I’m not sure how I feel about the all-black look – the fleet already has a black wagon with anthracite wheels, and the 2002 is black inside and out, and the Cosmic wheels have black inserts. But at least those have a little chrome – the black on this car makes the bumpers look rather ragged, but really it might be a bit more restrained to go back to the chrome grill, and at least some logos on the wheels. This entry was posted on June 26, 2013 at 8:00 am and is filed under Feature. You can follow any responses to this entry through the RSS 2.0 feed. You can leave a response, or trackback from your own site. Loved these cars ‘in the day’, but even back then, transmissions were getting hard to find at the boneyard.